Communication is key in all multiplayer games including League of Legends. Without good communication, you will have a harder time when it comes to winning games and closing them out. Solo Queue is a rough environment where you are matched with complete strangers with little to no communication with each other. As there is no reliable way of communicating with your team, unlike other games such as CS:GO or Fortnite, there are some means you can use to your advantage to improve your communication in game. In this Mobalytics guide by PicklePants, we will discuss 5 different ways you can enhance and improve your communication in game. The topics we are going to talk about are pretty straightforward, but not many players utilize them to their fullest. 1. Use your ping wheel wisely! There are three types of players in League. The first is the player who does not ping at all. The second is the player who pings too much. And the third is people who ping when they need to. Ideally, everybody wants to fall into the category of player 3, but many players sit in category 1 or 2. Pinging is a must and you should ping whatever you need to tell your team. Taking advantage of the pinging system and the ping wheel is crucial. There are 4 different types of pings that are on the wheel which include: “On My Way”, “Danger”, “Assist Me” and “Enemy Missing.” Each ping is pretty straightforward and self-explanatory, so it should be easy to understand when and how to use it, but players do not utilize it enough. Whenever an enemy is missing, you need to communicate with your team and let them know that they are no longer in lane. This is a good thing to do as it will allow your laners to play safe and not overextend or be surprised by a roaming enemy. In this situation, you would want to use the “Danger” and “Enemy Missing” pings. Taking advantage of the “On My Way” ping is crucial for Junglers.Whenever you’re ganking a lane or roaming the map, you need to let your allies know what your intentions are. If you’re wanting to gank a lane, there’s no point going in without telling your laner what your intentions are as you will only be wasting your time and they may be unable to follow up. It’s really difficult to truly describe how important the ping system is in League of Legends. Without a good understanding or use of the ping wheel, you will find yourself struggling to keep your head up in the game because you will not be able to communicate with your team properly. 2. Bind and use your Vision key! It took Riot Games 7 seasons to introduce a vision ping in League of Legends and it has honestly been one of the best things they’ve done. This keybinding is not on the ping wheel and instead, the user has to bind it themselves. Telling your team where the enemy has vision is important. It cannot only dictate the lane and the game, but it can also save yourself and your team time. As a Jungler, one of the worst things is wasting your time trying to gank a lane that is warded. If your ally doesn’t tell you that an area is warded, you may waste your time trying to help them. Another reason to tell your team when areas are warded is to prevent them from getting killed. As some Junglers wait around in bushes for some time waiting for the perfect opportunity to go in, if the enemy knows that they are, they may be able to coordinate an attack to kill the Jungler. So, if haven’t already bound your vision ping, I would recommend that you do so immediately. I use the vision ping on ‘V’ as I find it is quite close to where I keep my thumb. Generally speaking, it doesn’t matter too much where you have it key bound too, however it does have to be close so you can use it when needed. If you haven’t already bound your Vision Key, you can do so by pressing escape to go to the menu, select “Hotkeys,” expand “Communication,” and add a button to “Area is Warded Ping.” Want to learn more about the vision ping? Check this article out by Riot Games themselves! 3. Tell your team when the enemies use their ultimates or Summoner Spells! It’s pretty obvious why you should tell your team when the enemy is missing core Summoner Spells or when they have their Ultimate on cooldown. Ignoring or not telling your team when somebody is missing something is putting you at a disadvantage and you’re not abusing the enemies as much as you could be. When the enemy is missing a core defensive Summoner Spells such as Heal, Flash or Exhaust, they are at a huge disadvantage and susceptible to being killed. If you cannot abuse the fact they are missing them, you could tell your Jungler or your team about it and they may be able to help you out. This is good as it can get your team some kills and put you guys ahead while also putting the enemy behind. 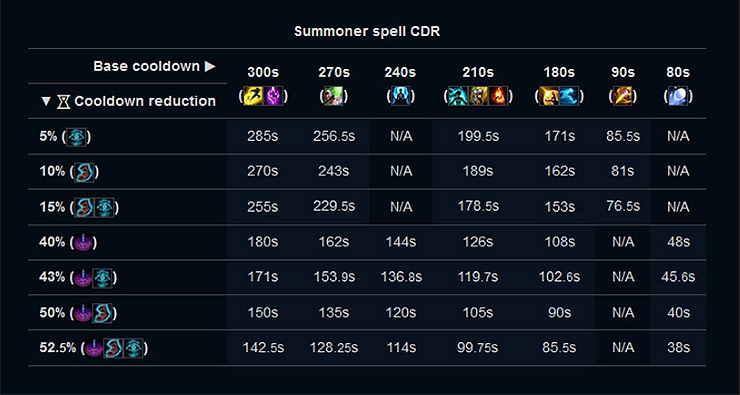 You do not have to necessarily write down the timer of the Summoner Spell, but it can be good to have a rough estimate on when it will be back up. This is because it can allow you to know when you can play aggressive and when it can be dangerous. Furthermore, if your team knows that the enemy is missing their Ultimate, then your team may be able to play around it and abuse the fact they are missing it. One example would be Soraka’s Ultimate which is a global heal. If you know that it’s not up, then you may be able to try and execute an enemy without fear of them being saved by her heal. This is especially true when you’re playing an assassin such as Zed who generally finishes off an enemy with ignite or through his Ultimate pop. 4. Ping Objectives to make macro plays! When the game starts. You should always look at what the first Dragon is. Every Dragon is valuable but some are more so than others. The Infernal Dragon is super important to get as it gives your team bonus damage. You should try to coordinate with your Jungler as well as your whole team to be able to take it as early and as safely as possible. I do this by getting into a game, running towards my designated starting position and then checking what Dragon there is and then if it is an important dragon, I would ping it and try to coordinate with our Jungler an optimal time when we can take it. Throughout the game, there are major objectives that spawn such as the Rift Herald, Baron and of course Dragons and the Elder Dragon. Whenever they are about to come up, you should try to coordinate with your team and get them to take it when they can. If you do not get them- the enemy will get them and they may be able to snowball from it. Another thing to keep an eye on is towers. Taking the towers whenever it is safe to do so is important as it opens up the map and gives your team a gold advantage. You can ping towers to get your team to rotate to them in order to destroy them. You can also take advantage of this when the enemy is missing to deal extra damage to them. Macro as a whole is a super complex subject to talk about and experience plays a huge part in it. Communication when taking objectives is key because you do not want to miss out on objectives that are free to take. Generally speaking, it’s recommended to minimize the amount of time you spend talking in game. However, communication via the chat can be very beneficial to closing out a game. When you’re playing Solo Queue, there is no way to talk to your teammates via voice channels and instead, if you want to get your point across or tell your team what to do, you will have to use the text chat. Using the text channel only to tell your team to do certain things and not flaming them is a good way of communicating with your team. Not many people are shotcallers and do not necessarily make macro calls or plays. If you are a shotcaller, you can tell your team what to do and then potentially take objectives. A good example would be making the call for Baron. You could write in chat “Baron” and then use your “On My Way” ping and press the Baron timer. This is a good way of telling your team that you want to do Baron. You should avoid typing when you are in the lane and instead, you want to just talk when there is not much going on. For example when you are walking to objectives or walking to lane. You do not want to miss out on CS or farm because you’re typing. Communication is super important in any game. Without it, you’re going to have a rough time when it comes to taking objectives, closing out games and of course – enjoying the game. The 5 things we have listed are pretty obvious ways to improve your communication, but we see a lot of players not taking advantage of all of the things that are already in the game. Tell your team what they need to know and be sure to also be an effective listener when they relay information. Thanks for reading, we hope you found this article helpful. What are some of your methods for communicating effectively with your allies? Let us know in the comments! As always, you can find Picklepants in our Discord if you have any questions.